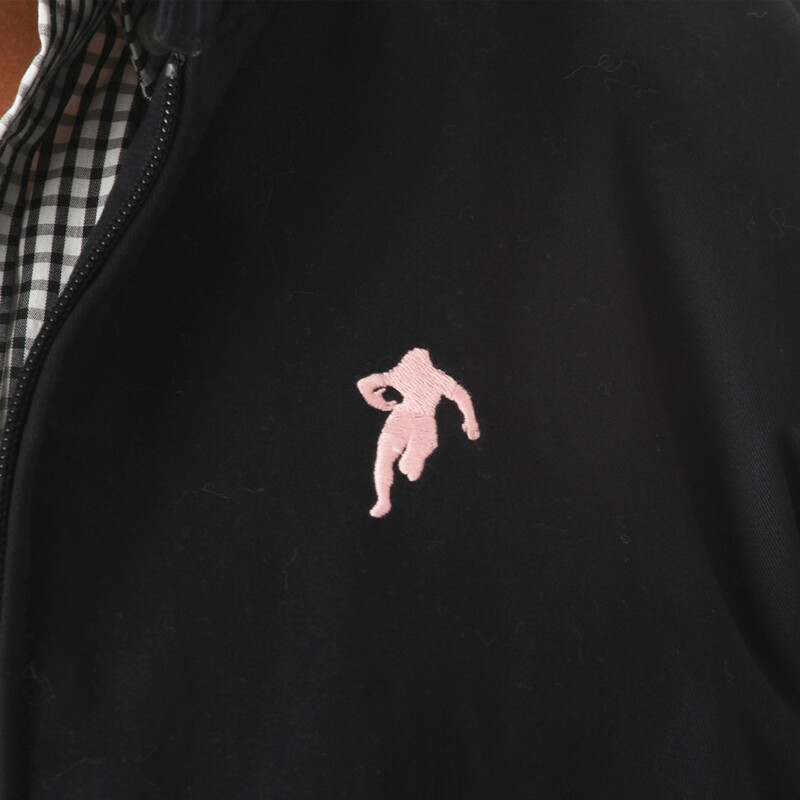 To keep your hands warm, two side pockets fastened by a button. 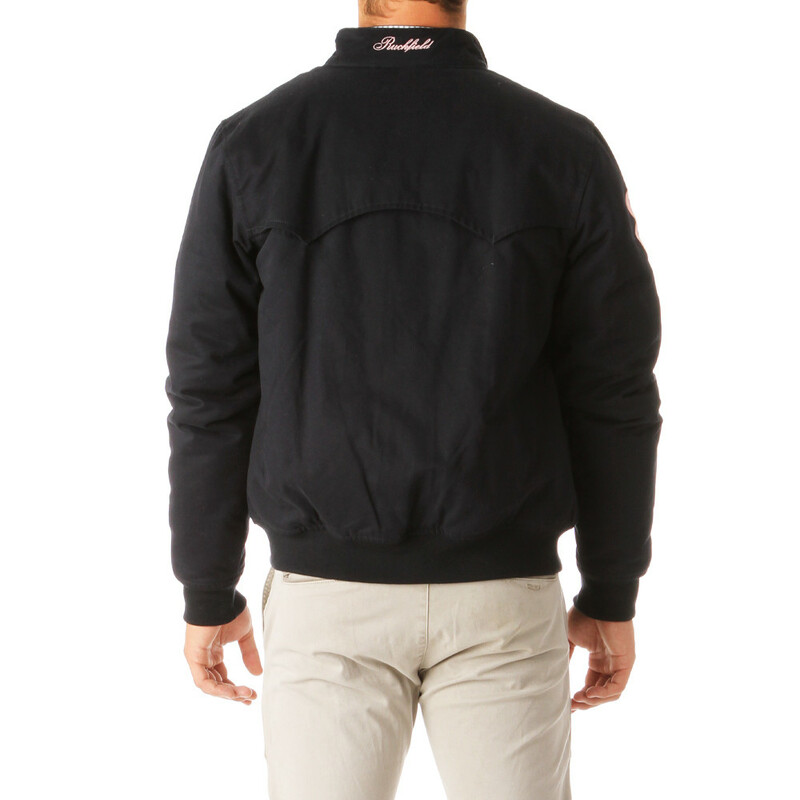 The motorcyclist-style collar protects your neck and the elastic ribbed wrists and waist prevent any wind from coming in. 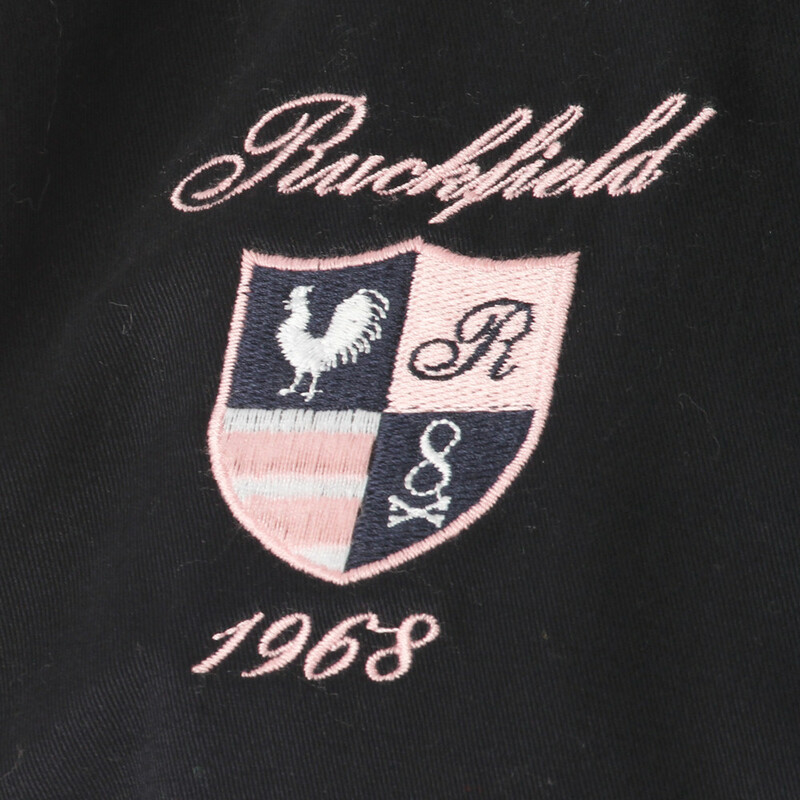 The jacket is embroidered on the chest and on the sleeve. 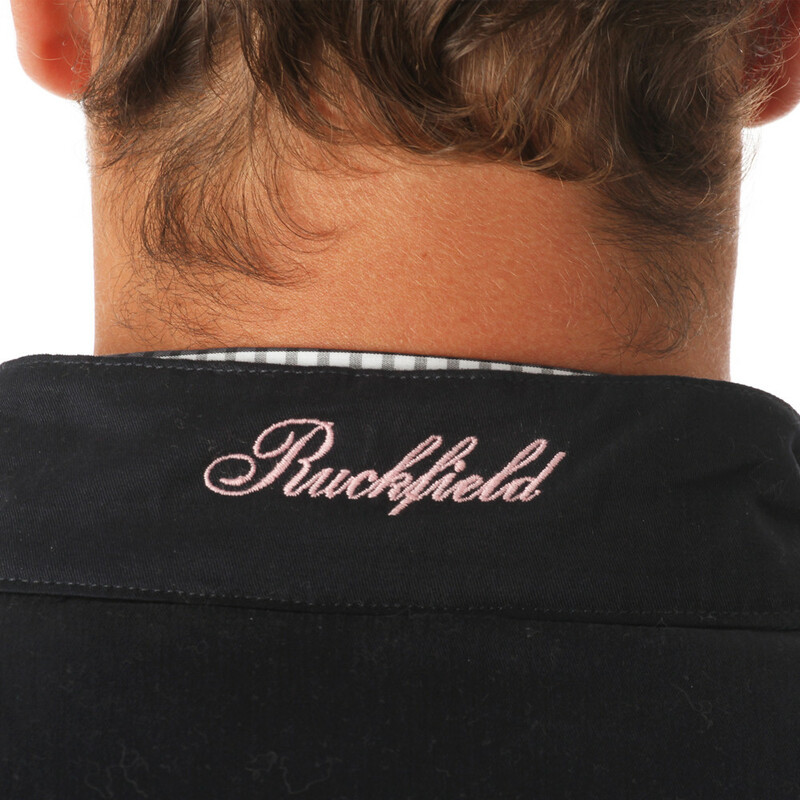 With a casual/smart look, Ruckfield's half-length navy blue jacket can be worn with jeans on the edges of a field or with dress pants during an evening out. 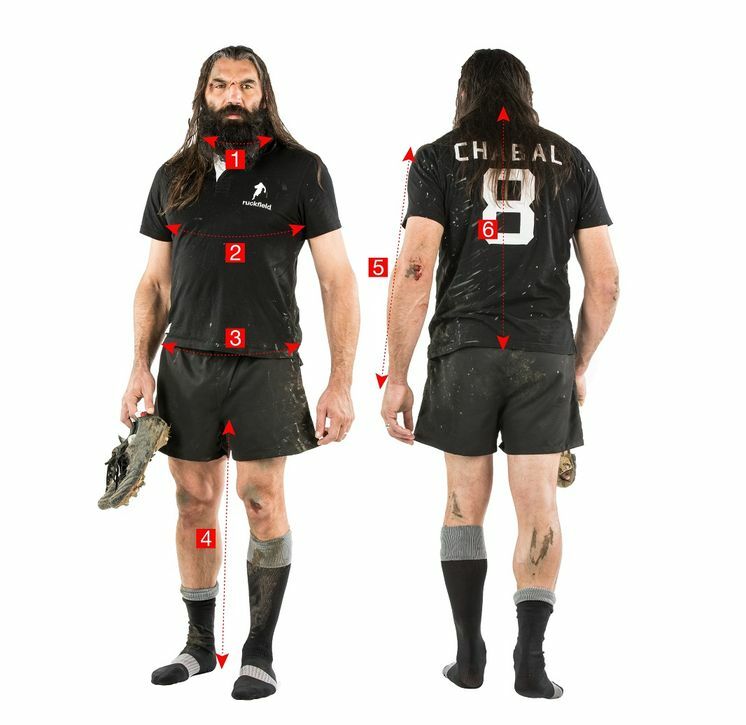 Sébastien Chabal approved it!!! !